The RPA did not discuss issues related to the composition of the future government – candidatures of the prime minister, first deputy prime minister, deputy prime ministers and ministers. Party spokesman Eduard Sharmazanov informed about it after the session of the RPA Executive Body: “This all will be presented to the public after discussion. But no matter what the government will be, the political responsibility of the Armenian authorities will not change,” - Sharmazanov stressed. The process of forming the government of Armenia in April as a power shift Eduard Sharmazanov describes as a falsified agenda. According to him, through the elections, the power and the opposition in Armenia are formed through elections up to 2022..
“Tomorrow I will be of the same opinion, if in 2022, citizen of Armenia will vote for another party rather than the Republican Party. We have managed to organize very positive elections which all the international organizations have highly assessed. No doubts have been caused as a result of the parliamentary elections, and the main oppositional players are in the parliament today. 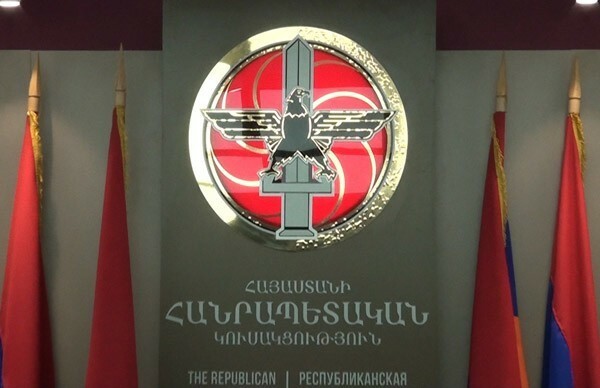 It’s about the Tsarukyan bloc and the “Way Out” alliance," - the RPA spokesman said. Referring to the elections held in the local self-governing bodies, the RPA spokesman stated that people trust this party: “16 municipal elections were held in the communities. Of the 106 nominated candidates, 55 candidates were elected from the Republican Party of Armenia, one from the Prosperous Party of Armenia (PAP), one from the ARF Dashnaktsutyun and the remaining 49 non-partisan,” - said Sharmazanov. As for the community leaders’ elections, according to Eduard Sharmazanov, RPA candidates have won in 10 out of 14 communities. “The Prosperous Party of Armenia (PAP) candidates won in two, non-partisans also in two. The elections show that our population trusts the candidates of the Republican Party of Armenia,” - the RPA spokesman said. “I regret that the competition was not so great and many parties that talk about inter-party democracy, competitiveness between parties, democracy development in Armenia ... I must say no democracy is possible without competitiveness. They should first of be active and participate. Only then we can speak about their serious role. I regret that some political parties did not participate or perhaps did not have candidates in these elections,” - Sharmazanov summed up.